This top floor Victorian flat has been beautifully remodeled. There is an exquisite living room and formal dining area with classic French doors leading to a large south facing deck. There are 2 spacious bedrooms. The bathroom has been remodeled with limestone tiles. The kitchen has been updated with top of the line appliances. There are hardwood floors and high ceilings through out. There is also a large shared gardened. 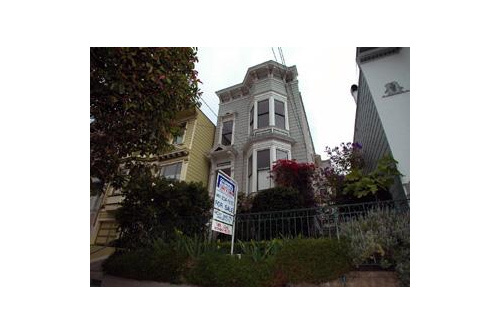 This home is just a few blocks from the shops and restaurants of Castro village. The purchase would constitute a 51% interest in the entire property.